ஒவ்வொரு வியாழக்கிழமையும் சாய்பாபாவிற்கு இவைகளை படையுங்கள் நினைத்தது நடக்கும் ! Sai Baba of Shirdi, also known as Shirdi Sai Baba, was an Indian spiritual master who is regarded by his devotees as a saint, a fakir, a satguru and an incarnation (avatar) of Lord Shiva and Dattatreya. He is revered by both his Hindu and Muslim devotees during, as well as after his lifetime. 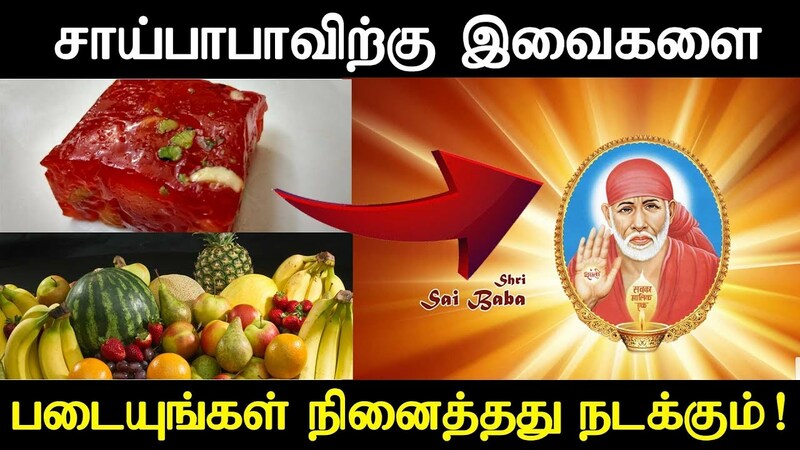 Saibaba is now revered as incarnation of Sri Dattatreya, and considered as Saguna Brahma. He is attributed to be the creator, sustainer and destroyer of this universe by his devotees. He is decorated with jewels and all forms of Hindu vedic deities as he is supreme God.